Just about every site I visit there are electrical workers who at one time or another are required to work alone. I'm not talking about working in the shop disassembling and old motor starter, I'm talking about doing high-risk tasks like removing starter buckets on energized equipment. Most seem to do it without ever questioning what might happen if something was to go wrong. Others feel that it's definitely an issue but are afraid that it's something that their management won't even begin to discuss. In this article, we will discuss the ever so popular topic of electrical workers working alone. While operational concerns do play an important part in the decisions of an organization, this article will be purely written from a safety standpoint. Operational concerns and management issues will need to be evaluated and weighed against the risks and benefits mentioned below as to why or why not electrical workers should work alone. 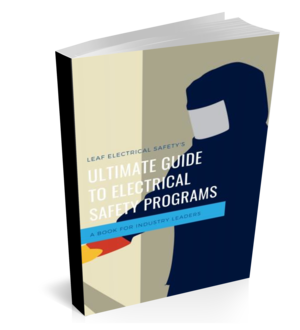 When the risks outweigh the benefits of working alone on electrical systems and a second person is required for the job it doesn't mean that a second electrical person is required. Working alone means you are by yourself and doing work, not that the other person is present but not “working”. The second person can serve as a standby attendant and as long as they are trained in first aid they will increase the likelihood of the electrician's survival in case of an incident. In other articles, I've discussed the hazards involved with working around electricity and just what can happen if one is introduced to those hazards, but what happens after your exposure? If you've received a shock that impacts the rhythm of your heart causing ventricular fibrillation you've only got about 5 to 10 minutes to get things straightened out. Seeing as you are the one who is lying on the floor fighting for your life you can’t really run and get the defibrillator. This is the case for número 2. As mentioned above the second person should be trained in first-aid but also in the proper use of a defibrillator. Electric shock is the number one killer of electricians across all industries and having quick access to a defibrillator by someone who knows how to use it is invaluable. If it's an arc flash that you've encountered then chances are (unless you've been following my PPE recommendations) you are temporarily blind and on fire. Not an ideal situation by any stretch of the imagination and one that certainly could benefit from having a friend nearby. As long as the second person was outside the arc flash boundary then they can offer assistance very quickly, get you out of the danger zone and administer first aid. In this case, ready access to a burn kit would be what is important. Sometimes there is value in having a second electrical worker on the job. One example that comes to mind is a fatality that happened several years ago at a pulp & paper facility. The electrician was working alone troubleshooting a motor failure. The decision was made to check the fuses inside the starter compartment. An error was made in the selection of a proper voltage detector, a 1000 volt meter was selected to test the fuses of a 2300 volt starter. For anyone who doesn't know… this is bad, very bad. The meter exploded and caused an arc flash within the equipment that led to fatal burns to the electrical worker. We will never know for sure but one can't help ask the question. If a second worker had been there throughout the job, would they have caught the error? Even the ability to say "slow down there" or "just a minute, let's make sure we have this one right" could have changed the outcome on that fatal day. As mentioned early on, working alone seems to strike a chord with most electrical workers and for good reason. The risks are simply just too high and the reaction time needs to be very quick. On the other hand, immediate costs will rise for any organization to have two people on every job. The question is will the upfront costs outweigh the potential losses if tragedy strikes?